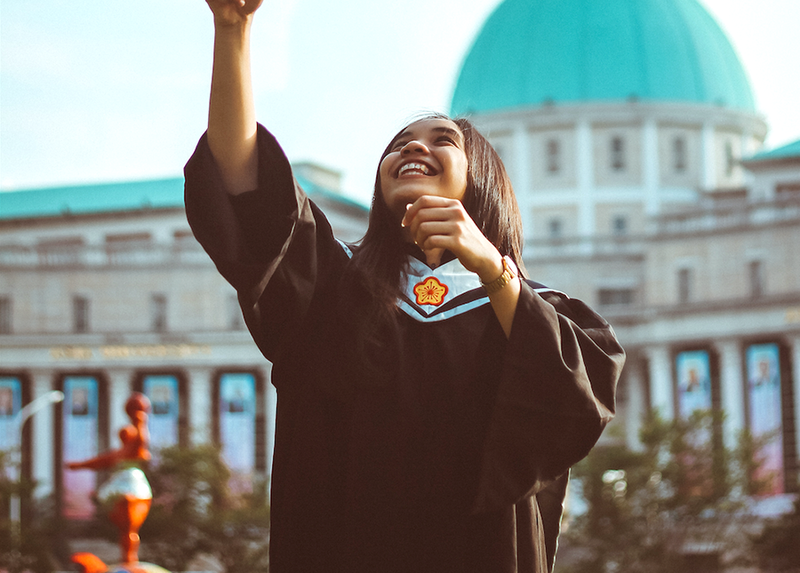 It’s a tale as old as time (well, the last 50 years or so anyway): A 17-year-old felt that the world was completely open to her and that she could do anything she wanted, including attending a prestigious university on the merits of barely getting accepted based on grades she had to study relentlessly to attain. That girl was me. I should have recognized that barely getting good enough grades to make it into the school I wanted to go to was a good indication that it may have been out of my league intellectually. But I didn’t. The day I got my acceptance letter (late, because someone else had to decline before the spot was given to me) was the proudest day of my life. I went straight to my parents and showed them, almost gloating, that I got in despite them encouraging me to go to a community college and get a diploma in something practical. Fast forward to the end of my first year of university, when I was failing all but two classes and hadn’t slept in what felt like weeks due to the crippling anxiety of having to face my family and friends with the reality that I was not cut out for this. Naturally, I instead decided to implement the ingenious strategy of changing majors without telling anyone. I went from a science-focused degree path to something that was still science, but also included business courses and had a generally lighter course load. I re-took many of my first-year classes in summer school and online, and on my own dime so that no one would need to know. The whole thing for me revolved around secrecy. I was so ashamed that having good grades was not something I could achieve, especially since everyone around me seemed to be having such an easy time of it. I made it through the following three years on sheer willpower, expensive tutors, and many, many frustrated tears. When I graduated, I didn’t even attend my own graduation ceremony. I still carried shame from the fact that my grades weren’t great, and how the entire university experience was a let-down. I had envisioned myself to be a great success there. My parents were so proud of me — my mom still says how she wishes she could have watched me walk across the stage to receive my degree. But the reality is that the degree is now rolled up and in the back of my closet. To make matters worse, like most of my peers, I graduated more than three years ago and am not working in the field for which I am educated. Don’t get me wrong, I’m sure having a degree helped me in the way of beefing up my resume, but it isn’t something I specifically use day-to-day in my job or life. Ask yourself if the future career you want requires a university degree. If the answer is no, then you don’t necessarily need to go to university. It’s way more expensive than community college, takes longer to complete, and in many cases is the overall more difficult route. Also, for those of you choosing schools based on where your friends are going, you will likely drift from those friends anyway. simply because that’s how life works. It’s not just a time in your life for social activity, but also a time for intellectual achievement and effort. You’ll have more luck keeping your friends if you see them on weekends and holidays without the stress of worrying about midterms and finals. Did you struggle just to get accepted? Not to offend anyone, but getting in is the easiest part. If that much was a struggle, like it was for me, chances are you will really struggle to maintain the grades required to stay. I don’t just mean tuition — I mean all of the extras, including, rent, food, transit, books, the odd night out, possible tutors. While there are plenty of financial aid programs for the big stuff, the little things add up, too. If you can’t afford them, you will most likely rake up debt in the form of lines of credit or credit cards, where your interest alone could be upwards of 20%! Having a part-time job throughout your education will help with this, but will also add more to your plate as far as stress and time-management for your studies go. Weigh the odds carefully. This one may seem far-fetched, but from my own experience, I knew in my gut the moment I applied to university that it wasn’t the wisest choice for me. My ego and naivete got in the way of my happiness and wallet — literally. I could have spent those four years feeling accomplished and fulfilled at a regular college and still ended up with a good job and comfortable lifestyle. Ultimately, I do not regret going to university, as it taught me a lot about myself. Including the fact that my idea of what my life should look like is the biggest contributor to my unhappiness. Since graduating, my life has been a series of wonderful experiences and I wouldn’t trade it for anyone else’s. But I can still say with confidence that I should not have gone to university. Letisha is the daughter of a globe-trotting superwoman, who made her opinionated and proud. Mostly though, she is just an old soul whose greatest joy comes from cuddling up in my tiny apartment with her dog, a good book, and perhaps a glass of wine.